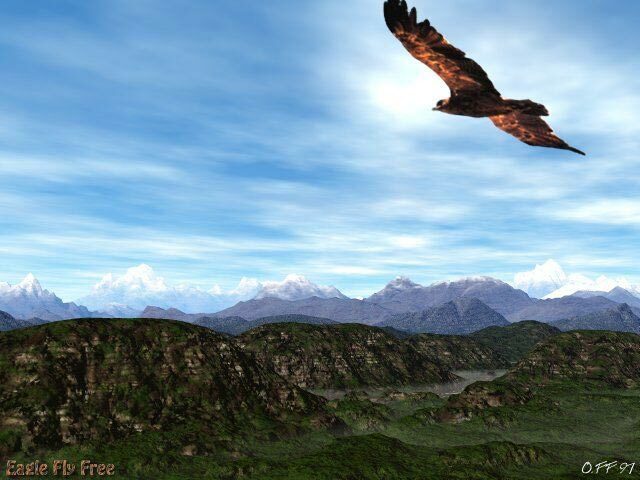 A golden eagle flies freely over mountains. Maybe a scene set up in the Scottish Highlands. Ten years ago, I made a first version of this image. At the time, I used Bryce to make this one. I remember having an e-mail exchange about this image with Michael Weikath, lead guitar of Helloween. He advised me to clean up the edges of the eagle picture I had used. No such problem with the recent one. 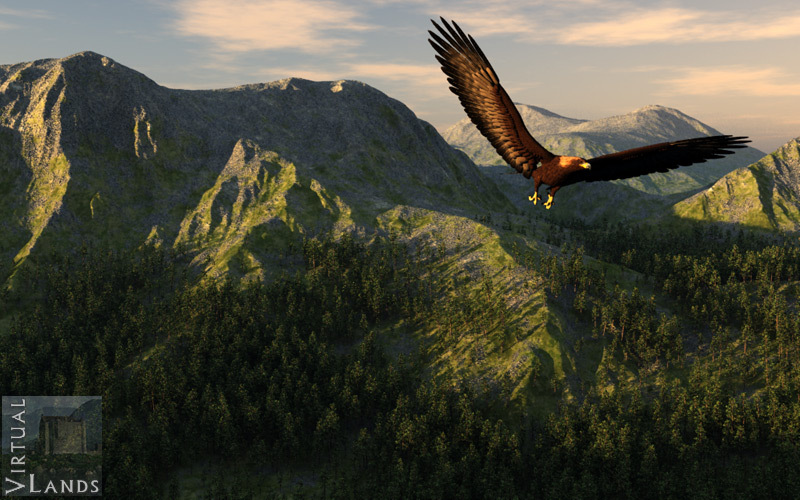 I used the Eagle V2 from DAZ and its expansion pack (to get the golden eagle specie) for the bird in the first image.